Furtherfield lives online as well as deep in the heart of London’s Finsbury Park where we offer a seasonal programme of art from April – October (with an emphasis on accessible evening and weekend activities). If you want to come see us at other times do please get in touch. 1. Furtherfield Gallery hosts free public exhibitions. 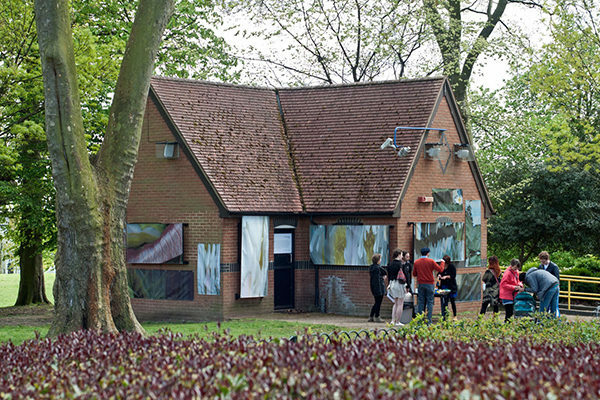 Furtherfield Gallery at the McKenzie Pavilion is located in the middle of Finsbury Park, across the children’s playground from the cafe, next to the boating pond. Open from April-October – please check Events for dates and opening times. 2. 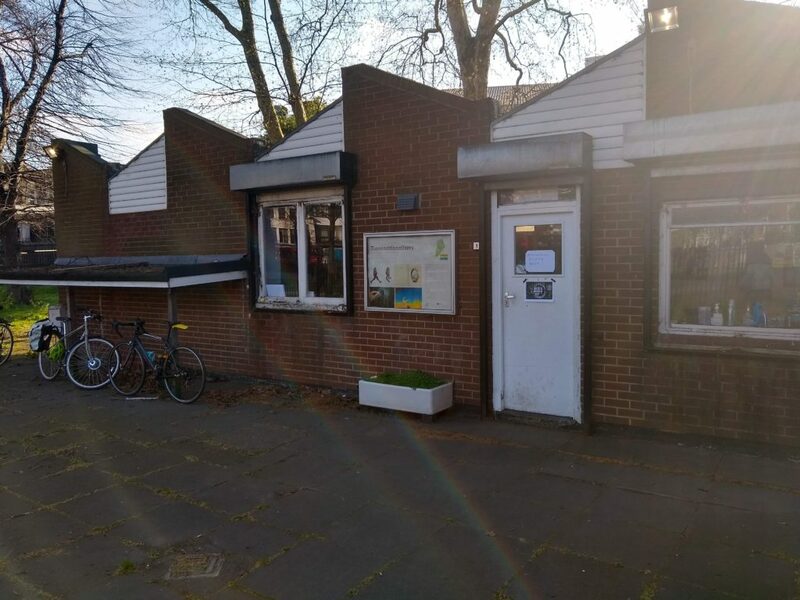 Furtherfield Commons hosts resident artists, public workshops, research labs, book launches, fairs and much more. Furtherfield Commons is a single storey building behind the railings on the left as you enter Finsbury Park at Finsbury Gate. Open year round – please check Events for forthcoming activities. Both venues are less than a 10 minute walk from both Manor House and Finsbury Park Tube and National Rail stations, and approximately 15 minutes walk from Harringay Green Lanes and Harringay National Rail stations. Visitors are encouraged to use public transport where possible. There are pay and display parking facilities nearby for visitors wishing to travel by car. Furtherfield Hosts are on hand at exhibitions and events to provide more information about artworks and to give visitors any additional support that may be required. *Please note that there is sometimes a long delay for post sent to our venues so you might prefer to email us.